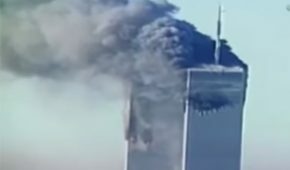 According to a news report by bbc.com, two 9/11 rescuers died, one day apart from each other, both from cancer caused by their efforts following the attacks on the World Trade Center 17 years earlier. Thomas Phelan and Keith Young were both firefighters and worked to rescue victims and survivors of the World Trade Center attacks in Manhattan. Their passing marks the 172nd and 173rd deaths of firefighters who developed illnesses related to their 9/11 rescue efforts. 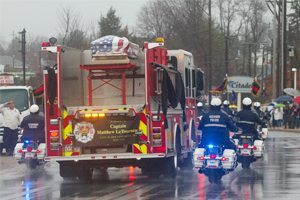 They were the sixth and seventh of those firefighters to die so far this year. Phelan died March 16, and Young died the following day, March 17. At the time of the attacks, Phelan was not working for the New York City Fire Department but was a pilot for a ferry service that took tourists between Manhattan and the Statue of Liberty. Following the attacks, roads, and bridges completely shut down, and people were trapped among the wreckage in Manhattan. There was no evacuation plan and no way out. Mass evacuation started to take place by boat. Phelan immediately went to action and spent several hours using his ferry to carry hundreds of passengers to New Jersey and to carry supplies and emergency responders back to Manhattan. About 500,000 people total were transported to safety by boat the day of the attacks, and Phelan was an integral part of that rescue mission. In 2003, Phelan joined the NYC Fire Department and eventually became a pilot on a firefighting boat. He was diagnosed with lung cancer approximately two months before his death. Upon his passing, the president of the firefighters’ union and the New York City mayor praised his heroism, his talents, and his heart. Young had been with the NYC Fire Department for several years on 9/11 and was stationed in Brooklyn at the time of the World Trade Center attacks. He was part of the nine-month-long rescue and recovery efforts at Ground Zero. Outside of his heroism, Young was known for his culinary skills. He received a degree in culinary studies and published a book titled “Cooking with the Firehouse Chef.” He also won two titles on the popular Food Network show “Chopped.” Young was diagnosed with cancer late in 2015 and underwent surgery to remove a tumor from his pelvis shortly after that. After his treatment, he retired from duty. The Centers for Disease Control and Prevention figures that approximately 400,000 people, like Phelan and Young, were potentially exposed to toxic contaminants on 9/11. According to the CDC, about 70,000 people who aided in the rescue and recovery efforts of 9/11 have applied for some form of medical aid. They report illnesses such as chronic coughing, asthma, various types of cancer, and depression. 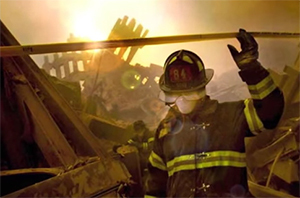 New York’s Committee for Occupational Safety & Health estimates that about 6,000 9/11 first responders now have cancer, and many more battle mental health issues and breathing difficulties. In 2011, Congress signed into law an act, called the Zadroga Act, which allows for reimbursement of costs associated with survivors’ monitoring and treatment of 9/11 related illnesses. Since the Act’s implementation, approximately $3.3 billion in claims has been paid to survivors. The Act, which is formally called the James Zadroga 9/11 Health and Compensation Act of 2010, is named after a police officer who died of lung cancer that he contracted after exposure at Ground Zero. Though the Act expired not long after being signed into law, it was renewed in 2015 and extended for 75 years. At Parker Waichman LLP, we are experienced in Zadroga Act claims. We work hard to ensure your legal rights are protected throughout your claim. To schedule your consultation with our legal team, call 1-800-YOURLAWYER (1-800-968-7529). Have you or a loved one been diagnosed with 9/11-related illness?